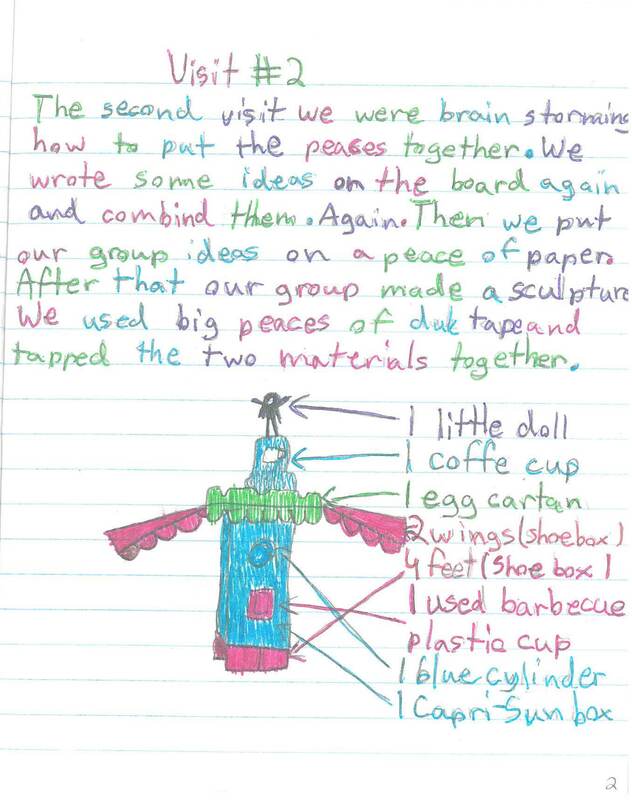 This curriculum guide documents work that occurred with two 4th grade classrooms at Swift and two 4th grade classes at Thorp during the final year of the PAIR project (2008-2009). Visual Arts teaching artists Juan-Carlos Perez worked with Swift and Thorp schools for all three years of the PAIR Project. While CAPE had been previously involved to some degree in professional development for teachers from Swift, the PAIR Project was both schools’ first experience with CAPE-supported teacher-artist partnerships. Inquiry Question: How can students learn about problem solving by taking a social issue and moving towards action as they take a 2-d blueprint and create from it a 3-D reality that encompasses that notion of action? Further discussion: It was important to the teachers and the artist to help students move from the abstract (broad social problems and 2-dimensional sketches) to the concrete (taking action against those social problems and creating 3-dimensional sculptures in a way that would maintain the integrity and accuracy of their 2-dimensional plans). The teachers also recognized the need for their students to gain experience in collaborative skills such as listening to peers, changing ideas, and compromising, and so individual and group work was carefully planned to address that need. 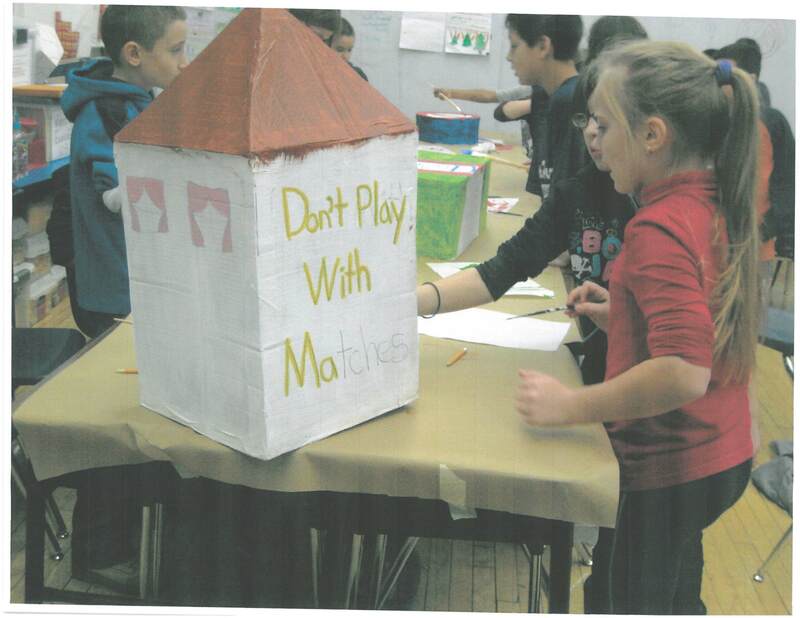 For this project, the teachers and teaching artist planned out a scaffolded approach to the work. The students were guided through the project in a way that helped them understand the relationships between abstract and concrete, 2-dimensional and 3-dimensional space and shapes, and thoughts, plans, and actions. 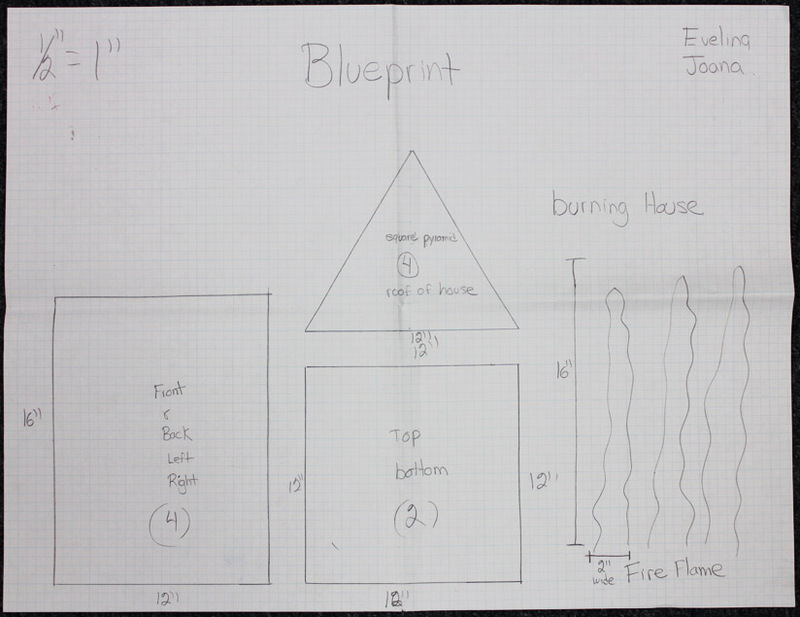 Ongoing emphasis was placed on math concepts such as scale, measurement, and shapes, and how, when, and why one would choose different tools and materials for a math problem or an art piece. In interviews that occurred after this project had concluded, Juan-Carlos Perez and the participating teachers repeatedly remarked on their students’ struggle with but ultimate ability to understand the relationships between two dimensionality and three dimensionality. 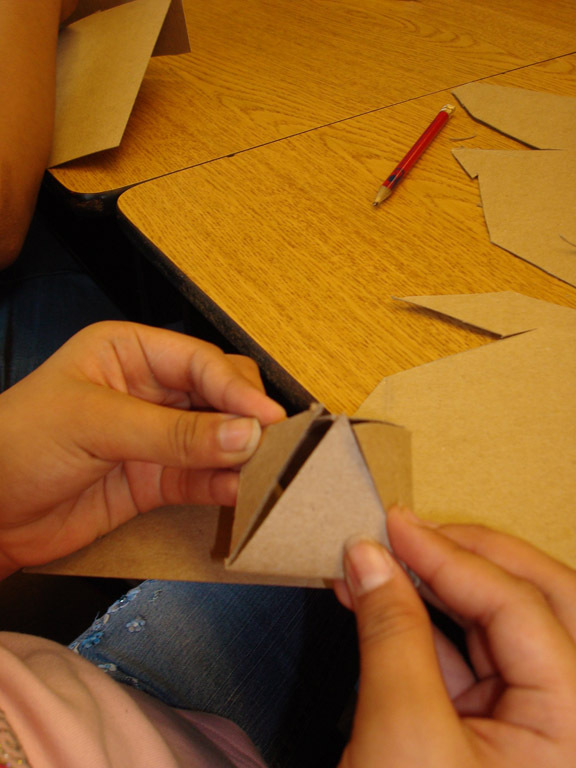 Through hands on exploration, the students were able to master skills and techniques of scale, measurement, and transference. Teachers also consistently noted in reflections on project that this particular project allowed their students to develop important social skills, such as listening to their peers, collaboration through sharing, adapting ideas and plans, and accepting others’ idea. The teachers also recognized ways in which the arts integrated math work lead to new success by students who normally did not excel in regular classroom activities. 9.B.1c: Identify lines of symmetry in simple figures and construct symmetrical figures using various concrete materials. 4.A.1b: Ask questions and respond to questions from the teacher and from group members to improve comprehension. 4.B.1: Participate in discussions around a common topic. 25.A.1d: Visual Arts- Identify the elements of line, shape, space, color and texture; the principles of repetition and pattern; and the expressive qualities of mood, emotion and pictorial representation. 26.A.1e: Visual Arts- Identify media and tools and how to use them in a safe and responsible manner when painting, drawing and constructing. 26.B.1d: Visual Arts- Demonstrate knowledge and skills to create visual works of art using manipulation, eye-hand coordination, building and imagination.